As the temperatures drop, we tend to focus on changing up our wardrobes, but one thing we can forget is that we also need to change up our skincare routine. Between the colder air outside and the drier air from the heaters inside, it can do a number on our skin. 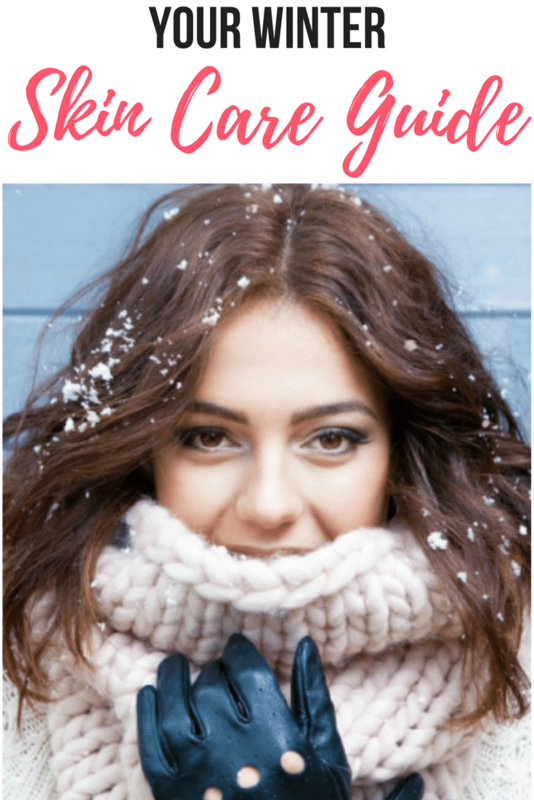 Here’s an easy to follow winter skin care guide, plus some product suggestions to get that gorgeous glow. Our skin needs more hydration in the winter and using a creamy cleanser helps give it that bit of extra hydration it needs. Two of my favorites are the Dove Beauty Bar and L’Oreal Age Perfect Cream Cleanser. The skin on our face is more delicate and also contains the largest number of pores than anywhere else on our body. Washing and rinsing with hot water can damage your skin and strip it of the natural oils it needs, leaving it dehydrated. If after you rinse your skin it feels tight, this is a sign the water you’re using it too hot. Skin that is dry and stretched too thin from the hot water causes your pores to enlarge and will leave your skin looking dull. This can also cause the capillaries to dilate, which will leave your skin looking blotchy, as well as lead to fine lines and wrinkles. Who knew something as simple as the temperature of the water you use could have such an impact? Exfoliating buffs away dead skin cells that are on the surface of your skin, blocking moisturizer and other products from fully absorbing into your skin. Exfoliating reveals new skin cells and helps your skin appear brighter and makes it smoother and more hydrated. What you exfoliate with is a personal decision. Some prefer a face brush like the Mia FIT, while others prefer a product with exfoliating beads like Oz Naturals Scrub Your Face or Murad Exfoliating Cleanser which preps your skin for treatment products. Because I have a few busted capillaries on my cheeks, I have to be extra careful when it comes to exfoliating. I do still use the Mia FIT because I swear by it. I stopped using it for a couple of months after it was recommended I stop from an esthetician (sorry!) and I noticed a dramatic difference in the texture and tone of my skin. My skin was dull, dry and seemed lifeless. So I started using it again and almost instantly my skin went back to the skin I knew and loved. I am careful not to scrub, especially over my cheeks, and I only use it three times a week. When I was a teenager, toners were all the rage. And then they were sent to the very back of women’s beauty regimens everywhere and long forgotten. Well, they’re back now and for good reason. It’s one of the most underrated skin care products out there. If you suffer from dry, flaky skin in the winter, toner could be just what you need. Toners rebalance your skin and help give you that glow, which makes your skin look healthy and vibrant. I’ll go more into depth on toners at a later date, but until then a couple I recommend are Pixi Glow Tonic (amazing stuff made from unicorn magic and rainbows) and Thayers Rose Petal Witch Hazel Toner. Your skin needs nutrients and moisture all year long, but especially in the winter. So be good to your skin and treat it with some extra love with masks, eye treatments, and oils. I’ve been using the Pixi 24K Eye Elixir at night and in the morning. It’s new to my routine and so far so good. I’m also an outspoken avid fan of retinol cream and swear by it. As far as face masks, I’ve been hearing a lot about charcoal and the huge benefits. I’ve used a few face products with charcoal in them and I definitely plan on experimenting with it over the next few months. I have my eye on this Charcoal Face Mask. Last but not least, moisturize. Moisturizer is a very personal choice and I believe it takes some experimenting to find one that works for you. I’ve been using Pixi Beauty Sleep Cream for about a week and I really like it. It’s lightweight but packs a punch. This Oil of Olay moisturizer has been in my morning routine for years and I don’t see myself switching to anything new. Since I love the Oil of Olay morning lotion so much, I’m thinking about adding in one of their products for nighttime. 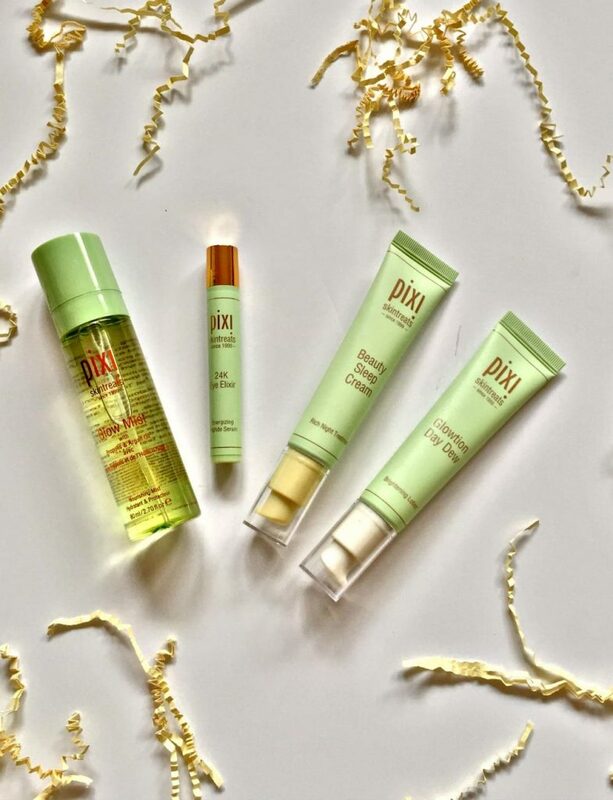 Do you have a specific winter skin care guide you follow? Feel free to share any tips that help give you that gorgeous glow and that keeps your skin healthy during these harsh months on our skin. Great reminder. I need to update my skin care routine!